The current administration, however, wants us to believe that discrimination against Black children is a myth. It is not. It is the lived experience of too many, if not all Black children. In the 2015-16 school year, Black boys made up 8 percent of public-school enrollment, but they were 25 percent of the boys suspended out of school. Black girls were 8 percent of enrollment, but 14 percent of the girls suspended out of school. While Black children are overrepresented in practices that exclude or remove students from school, White children are underrepresented. Such data are clear evidence that racism and bias often drive exclusionary practices. To ignore this is to preserve the status quo. Unfortunately, attempts to exclude Black children from educational opportunities are not new. America has a rich history of locking Black children out of the classroom. This list includes anti-literacy laws, past and current resistance to school desegregation, lack of access to well-resourced schools, school-based arrests, poor course access, enormous higher education costs, and unjust exclusionary policies. Every barrier and trick in the book have been used to limit the education of Black children. The removal of the discipline guidance is just the latest. It’s up to us as advocates for educational justice to ensure that schools do not illegally discriminate against Black children. 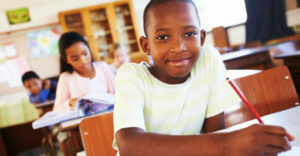 Encourage school leaders to commit to ongoing racial bias training; require culturally sustaining classroom management strategies; examine their school and district data to the determine if race and bias are driving who gets punished; adopt clear, fair, and transparent consequences; and eliminate school exclusion for discretionary non-violent offenses.